For many of our Boston area patients, snoring and sleep apnea center on a variety of causes including blockages in the nasal and oral airways. These blockages can be due to a deviated septum, or enlarged nasal turbinates, a redundant palate and uvula, and or an enlarged tongue that is too large for the size of the mandible (jaw) and hence collapses into the throat when the muscles relax during sleep. 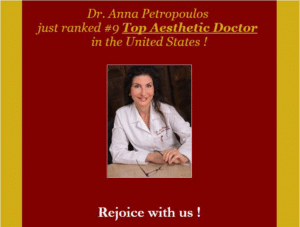 Dr. Petropoulos has been improving her patients’ lives for over a decade by providing snoring and sleep apnea treatment in her Boston area practice. To find out how she can help you or a loved one, request a consultation online or call her at 978-739-9500. When air is trying to pass through a blocked airway it vibrates the tissues and hence makes various degrees of noise ranging from a soft flutter to a lawn mower sound! Some people have a nasal snore, an oral snore, or a combination of both, depending on the location of their obstruction. Furthermore, the lungs have to generate a larger negative pressure in order to bring air in through a blocked airway and this high negative pressure after several years can cause someone to develop pulmonary edema (water in the lungs) and or irregular heartbeat (cardiac arrhythmia) and even heart attacks (myocardial infarctions) during their sleep. If someone has a deviated septum that blocks their nasal airway, they may undergo a simple straightening of their septum through septoplasty surgery under a light anesthesia. Dr. Petropoulos does not pack the nose after surgery and therefore there is no discomfort associated with this procedure during the healing time. The turbinates in the nose, which are sausage-like pieces of erectile tissue on each side, may also be enlarged and can also block the nasal airway. These too can be painlessly shrunken to a size that will allow easy nasal breathing. If the soft palate is too long, it hangs down into the back of the throat like a curtain and vibrates causing snoring and also apnea. This unnecessary portion of the palate can be gently trimmed to alleviate the problem. This procedure can be done concurrently with a non-invasive base of tongue reduction via Somnoplasty®. Last but not least, if someone is overweight, we also put weight on around our throat in the same way we put weight on our tummies and buttocks. This excess fat can also contribute to obstruction of our upper breathing tube (pharynx). We can help! Obstructive sleep apnea syndrome (OSAS) is a debilitating sleep and breathing disorder defined as the cessation of breathing for 10 seconds or more (an apnea) at least 5 times per hour of sleep. During sleep, the body’s muscles relax, which can cause excess tissue to collapse into the upper airway (back of the mouth, nose, and throat) and block breathing. Obstruction of the upper airways can be due to several factors. A septal deviation in the nose can be a cause of apnea as can redundancy of the soft palate, tongue enlargement, or an obese neck. It is important for the snoring patient to be examined by an otolaryngologist to determine which part the upper airways is compromised. Fortunately, there are simple procedures that can successfully address each of these issues. When breathing is interrupted by an obstruction in the airway, the body reacts by waking enough to start breathing again. These arousals may occur hundreds of times each night but do not fully awaken the patient, who remains unaware of the loud snoring, choking and gasping for air that are typically associated with obstructive sleep apnea. Obstructive sleep apnea sufferers never get “a good night’s sleep” because repeated apneas and arousals deprive patients of REM and deep-stage sleep, leading to chronic daytime exhaustion and long-term cardiovascular stress. What are the health implications of obstructive sleep apnea? Obstructive sleep apnea has a profound impact on an individual’s health. Excessive daytime sleepiness caused by disruption of normal sleep patterns leads to a significant increase in the rate of accidents for obstructive sleep apnea patients, including a sevenfold increase in automobile accidents. Over the long term, obstructive sleep apnea is associated with greater risk of hypertension and cardiovascular disease and the National Commission on Sleep Disorders Research estimates that 38,000 cardiovascular deaths due to sleep apnea occur each year. In addition, loud snoring and intermittent breathing interruptions can affect the quality of sleep of the apnea patient’s bed partner. Witnessing an apnea can be a frightening experience because the apnea patient appears to be suffocating. Frequently, it is the sleep-deprived bed partner who convinces the patient to seek medical help. Over 20 million Americans, including 24% of adult men and 9% percent of adult women, are estimated to have some degree of obstructive sleep apnea. Of these, 6 million are estimated to have cases severe enough to warrant immediate therapeutic intervention. However, obstructive sleep apnea was not well understood or recognized by primary care physicians until recently, and only a fraction of these 20 million obstructive sleep apnea patients have been diagnosed and treated by a physician. While obstructive sleep apnea is commonly associated with obesity and male gender, it affects a broad cross-section of the population. Other risk factors result in habitual snoring, which is often a precursor of more serious upper airway disorders such as obstructive sleep apnea. In fact, results from a recent study indicate that 1 in 3 men and nearly 1 in 5 women who snore habitually suffer from some degree of obstructive sleep apnea. 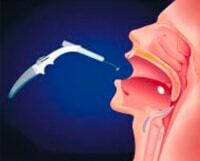 How effective is Somnoplasty in the treatment of obstructive sleep apnea? Initial clinical results showed that Somnoplasty effectively treated obstructive sleep apnea by shrinking the base of tongue (the most difficult source of obstruction to treat) in moderately and severely affected patients. These results were presented at the Annual Meeting of the American Academy of Otolaryngology-Head and Neck Surgery Foundation in September 1998, with data from 18 patients. Sophisticated testing and analysis following treatment with Somnoplasty indicated that patients experienced an average of 17% and as much as a 35% reduction in tongue tissue volume, a range that is comparable to conventional surgical techniques. All potential candidates should be evaluated by a physician to confirm the presence of obstructive sleep apnea (including an overnight sleep study) and identify the possible sites of airway obstruction. 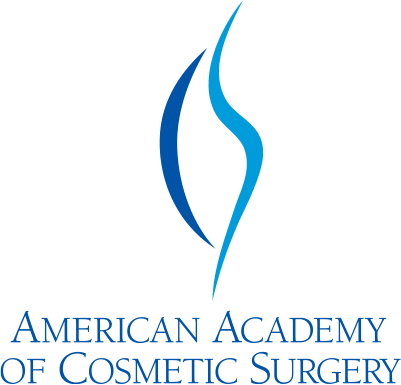 What other conditions can be treated with Somnoplasty? Somnoplasty has been cleared by the FDA for use in the treatment of 3 conditions: habitual snoring (soft palate and uvula), chronic nasal obstruction (enlarged inferior turbinates), and Obstructive Sleep Apnea. 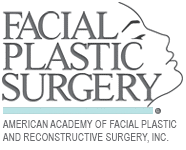 As of June 1999, more than 20,000 patients have been treated with Somnoplasty Procedures. As part of her Wellness Program, Dr. Petropoulos offers a weight control lifestyle program that meets weekly at her Boston-area practice in the evenings that run for 12 weeks. 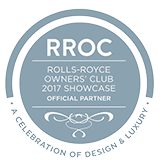 There have been many success stories. As you know, with the usual diets, our bodies end up burning muscle and fat to get their energy. This program differs from others since supplements are available that channel the body’s energy burning mode to burn FAT ONLY, thus preserving muscle. This is a unique system that is customized for each person’s needs. Schedule a medical consultation with Dr. Petropoulos to fully assess your snoring and your wellness needs. Please make sure to obtain a referral from your primary care physician if necessary for your associated medical conditions, such as deviated septum, nasal obstruction, airway obstruction, and sleep apnea. 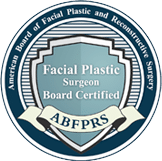 In addition to being a board-certified facial plastic surgeon, Dr. Petropoulos is also a board-certified otolaryngologist (head and neck surgeon). This, together with her experience of over a decade with snoring and sleep apnea treatments, makes her highly qualified to asses and treat your needs in this domain, both surgically and non-surgically. You will be amazed at the quality of life one can achieve once the quality of sleep is improved. The daytime fatigue is alleviated and one has more energy to enjoy life. If you are interested in a sleep apnea treatment, call (978) 739-9500 to schedule a consultation with Dr. Petropoulos at our office serving Danvers MA, Boston, and surrounding areas.